Your FileMaker Cloud instance is up and running, and ready to host your app! There are only a couple of security elements to check on the app itself before loading it onto the cloud. This lesson will walk you through those steps, then show you how to deploy your app to FileMaker Cloud. FileMaker Cloud requires you to secure your app before you load it. You’ll ensure that any full-access accounts are password-protected. As you load your app, you’ll encrypt it so that it isn’t hackable, in case anyone should try to access an offline copy. Once you complete those steps, then your users are off to the races! Your app will be available for users to log in with FileMaker Go on an iPad or iPhone, from a browser using FileMaker WebDirect, or from the desktop with FileMaker Pro. 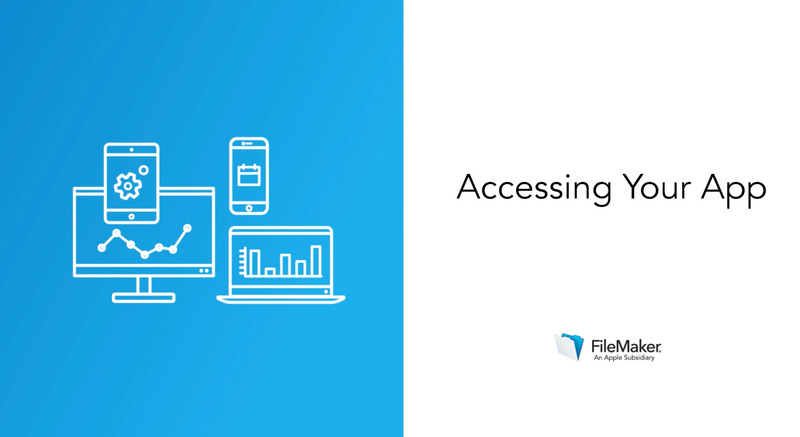 This lesson will demonstrate each login, as well as how to see those users as an administrator. The steps outlined in this lesson aren’t optional; you’ll be prompted to complete them when you attempt to load your app to the cloud. If you can perform them in advance, the upload will be seamless. 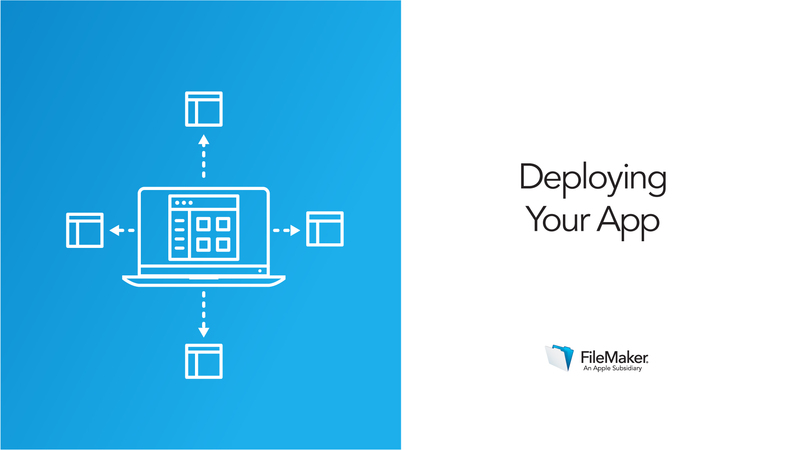 Prepare your app for upload, deploy it to the cloud, then test logging in from a variety of devices.